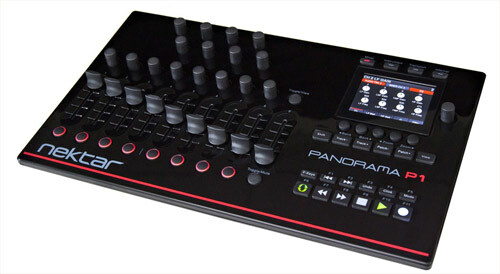 Nektar Panorama P1 - is your ultimate control surface for Reason and Cubase. Each function of these powerful DAWs is accessible from the P1. A powerful generic MIDI controller in its own right, the Panorama P1's custom communication protocol lets you control your DAW with hardware efficiency. The P1 juices your workflow with amazing features such as advanced mapping and QWERTY macros that give you 1-key execution of any function you'd initiate from your computer keyboard. From mixer to channel strip to transport controls and instruments, the Nektar Panorama P1 puts you in control. Take control of Reason and Cubase with the Nektar Panorama P1!